I had a post scheduled for today in which I was going to ask if you had any recommendations for a slow cooker. I have two--one like the one in this picture, and a 6-quart model. I nearly always use the 6-quart one, but it's due for replacement. The interior surface is badly scratched and the glaze is worn off; the knob has been broken for years. Rest assured that I'm going to give it a thorough test after it arrives, and I'll share my findings with you then. Stay tuned! 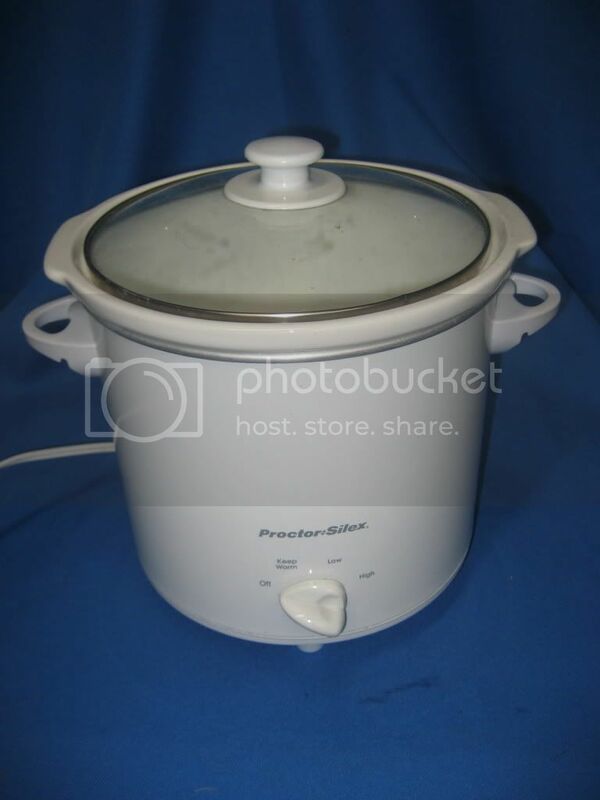 I have a cooks slowcooker and I absolutely love mine. I used mine last night! Prepared country ribs w/wine and tomatoes. It doesn't roast so I'll be interested to see your results!